Born in Richmond, NH, Ballou was the son of Maturin Ballou, a Baptist minister. He was self-educated, and early devoted himself to the ministry. He became a convert to Universalism in 1789, and in 1794 became a pastor of a congregation at Dana, MA. He preached at Barnard, VT and the surrounding towns in 1801-1807; at Portsmouth, NH in 1807-1815; at Salem, MA in 1815-1817; and as pastor of the Second Universalist Church in Boston from 1817 until his death. Ballou founded and edited The Universalist Magazine (1819; later called The Trumpet) and The Universalist Expositor (1831; later The Universalist Quarterly Review). He wrote many hymns, essays, theological works and about 10,000 sermons, and is best known for Notes on the Parables (1804), A Treatise on Atonement (1805) and Examination of the Doctrine of a Future Retribution (1834); in these he showed himself as the principal American expositor of Universalism. Life of Rev Hosea Ballou (#2183) by Thomas Whittemore (1800-1861). Hosea Ballou (1771-1852), converted to a belief in universal salvation in 1789, become one of its most influential teachers in US history. He pastored in Portsmouth, NH; Salem, MA; and Boston, MA. 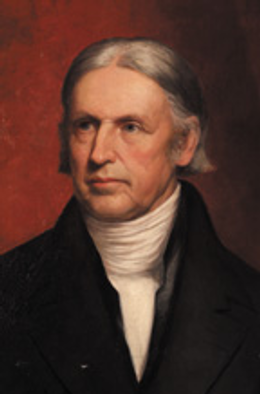 He authored books and leaflets, as well as published The Universalist Magazine and other periodicals. “A life-like portrait of the venerable man whose history it records. Of all living men, probably Thomas Whittemore is best prepared to write the life of Ballou. He was his intimate friend and companion for many years.” – Isaac Dowd Williamson (1807-1876), author of An Examination of the Doctrine of Endless Punishment. “Mr. Whittemore is the man, above all others, to prepare the Life of Ballou. No man knew him better; no man had studied him so well. Ballou was his spiritual father; and form his early days he had been with the good man.” – William Allen Drew (1798-1879), publisher of The Gospel Banner.